Bout of Books 21 SIGN UP! 3. On January 8th, READ! to join the social media fun. We need YOUR help. This post is ONLY for people who want to help plan a challenge. Please note: if you are chosen, you will be required to provide all pertinent information for your challenge idea before the beginning of the read-a-thon. 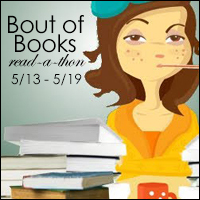 For Bout of Books 21, challenges will be hosted on the Bout of Books blog with credit/link to the site/person who provided the idea. Challenges run for 24 hours and run from midnight CST to midnight CST. There will be a limit of two challenges per day. Challenge sign up will close December 18th at 11:59pm CST.